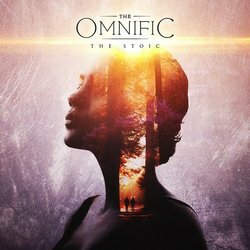 The Omnific’s accessible style is for all music lovers; from those seeking to be challenged to those who wish to be blanketed by atmosphere, creating an identifiable sound and resulting in a strong, diverse international fan base. The young trio has established working relationships with reputable companies Darkglass Electronics, Ernie Ball Music Man & Neural DSP, seeing them represent the brands with performances at the Melbourne Guitar Show, bringing attention amongst the ‘Gear-Nerd’ community. Coupled with their online play-thru, gear demo and music videos, the band’s reach is beyond what many would expect from this impressive Melbourne trio so early in their career. With a breadth of performances under their belt, the band has developed their live show to accurately represent their unique 2 bass guitar signature, proving that the virtuosic elements of their music does translate to and can be performed on the live stage. The Stoic starts slow and atmospheric until the first bass chimes in. The track continues to build in tempo with all three musicians intertwining their instruments together with intricate bass and drum work.